More than $70,000 has already been raised. 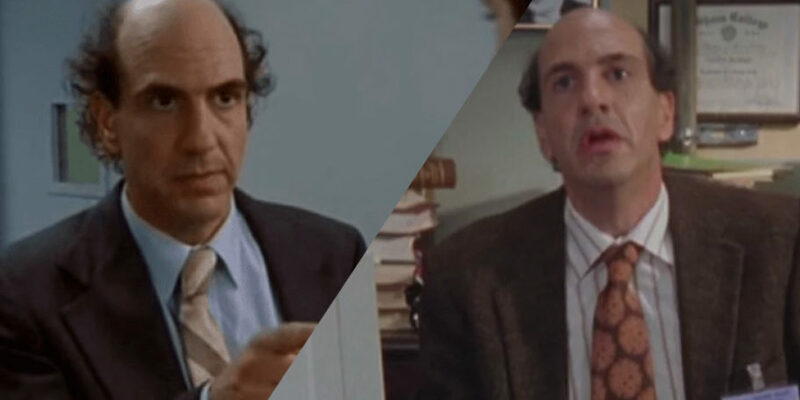 We were left devastated by the news that Sam Lloyd, the actor who played Ted in Scrubs had been diagnosed with a brain tumour and lung cancer. Anyone who grew up watching the show will still very much hold an emotional attachment to the whole cast – it was just that type of show. To make the whole situation even worse, Sam and his wife Vanessa had only just welcomed their first child into the world and a musical that the actor had been working on for over a decade had just been accepted into a prestigious theatre accelerator program. After hearing the awful news, Scrubs creator Bill Lawrence shared a GoFundMe page on Twitter asking for donations to put towards Sam’s medical and childcare costs. Donald Faison, who played Turk also shared the GoFundMe page, which has already collected more than $70,000 in just one day. The page explains how Sam thought he was getting headaches due to a lack of sleep. “Midway through January, Sam began to experience headaches and he had lost 10 pounds. He figured the headaches were caused by the lack of sleep that came along with his new role as Daddy, and the weight loss seemed like it could easily be the byproduct of a busy schedule – Sam had spent the better part of 2018 going back and forth to Vermont to care for his ailing mother, Marianna. He helped her make the move to assisted living and he cleaned out the family home of 50+ years – no small task, indeed.